If you’re in the market for a new car, you might enjoy shopping for used SUVs more than you would for any new car fresh off the dealership lot. There are multiple reasons for this, and we’re going to go over them. While there’s no denying that hopping into a new car is a fantastic feeling, many agree that’s not always worth the high price it comes with. 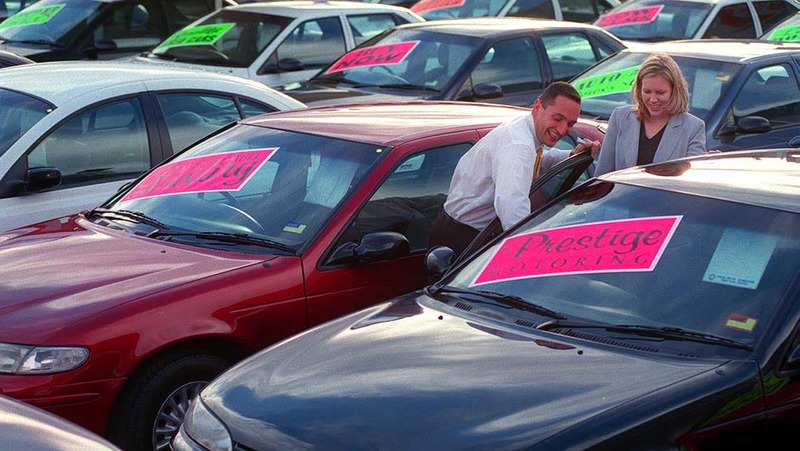 The alternative, which is buying a used car, offers similar satisfaction, which tends to last longer. A car’s value will inevitably drop as you begin to use it, and it will drop a lot. Studies show that most cars lose nearly half their original value after just one year of use. Wear and tear are not only unavoidable, but it’s also very normal for a new car. Eventually, little marks will begin to give your car more personality. Most drivers would happily trade in that personality for a fresh coat of paint, but that’s not how the world works. A used car doesn’t come with such problems. Buying a used car means that you can drive out of the lot without feeling any guilt or anxiety over small chips or dents that might occur from regular things such as parking. It’s not just a face-value thing, but also a mental relief because you’re able to drive more relaxed and enjoy the vehicle for what it is. A dealership’s catalog can be limited when it comes to what kind of cars you can buy. They usually tend to stick to newer makes and models, simply because car manufacturers want to push their latest creations on the road as soon as possible. When you are shopping for used cars, however, you’ll find a much broader selection of vehicles. They’re not in mint new condition, but you can find used cars in great shape that are available for sale. This great especially if you’re eyeing a specific model that you like, which might be a little older. Keep in mind that buying a car is just the first step of the journey. There are numerous upkeep costs that will inevitably occur, anything from maintenance to repairs. If you are already stretching your budget thin to buy a new car, you might not be able to afford to pay all the new car taxes in your area or to buy spare parts. Spare parts are exceedingly expensive for newer models, but older cars have the advantage of a much cheaper spare part market. There’s a lot to gain for drivers that look past that initial disappointment of not being the first owner of a car, or not having a single digit mileage on the dashboard. Aside from the great financial aid, buying a used car can offer a lot of convenience for people looking for a good car.